Wedding PR: Perfect Wedding Guide, Catersource, and more! Happy New Year, everyone! We hope everyone enjoyed the holidays and is excited for 2017. We’ve got another batch of client features to share, including Perfect Wedding Guide, Catersource, and many more. Check it all out below! 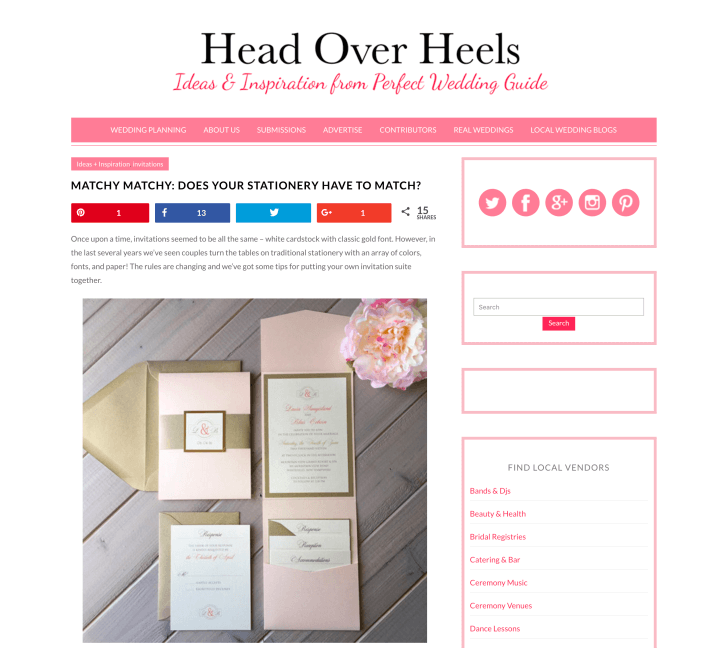 Passport to Joy was featured on Perfect Wedding Guide, with their guest article Matchy Matchy: Does Your Stationery Have to Match? See the full article here. OFD Consulting was featured on WeddingWire EDU with her guest article Winter Reading List for Wedding Pros. See the full article here. Fantasy Sound Event Services was featured on Timeline Genius with their guest article Top Tech Apps to Streamline Your Creative Business. See the full article here. Passport to Joy was featured on Perfect Wedding Guide, with their guest article Wording Invitations so Guests Know What’s Really Up. See the full article here. Destination Weddings was featured on Catersource with their guest article Incorporating Local Touches into a Destination Wedding. See the full article here. Fantasy Sound Event Services was featured on Catersource with their guest article Roundup: Outdoor Wedding Lighting Inspiration. See the full article here. OFD Consulting was featured on the Timeline Genius Podcast, speaking on the topic of A Blueprint of Nailing PR in the Wedding Industry. Listen to the full podcast here. OFD Consulting was featured on Special Events with her guest article Wedding Trends to Watch for in 2017. See the full article here.